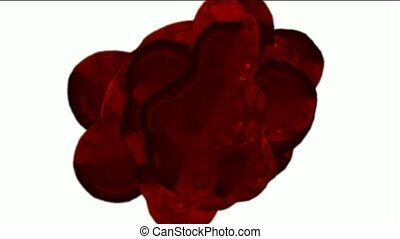 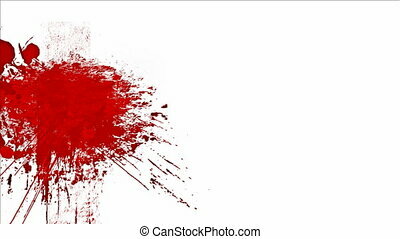 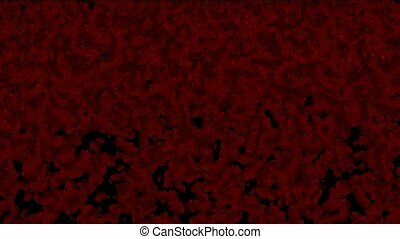 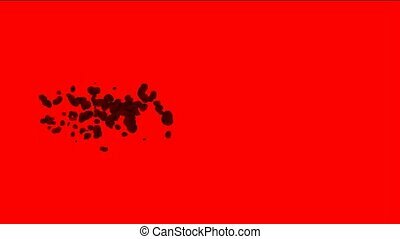 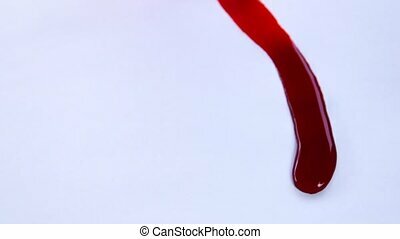 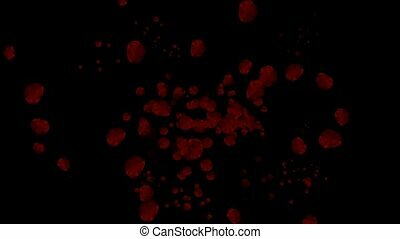 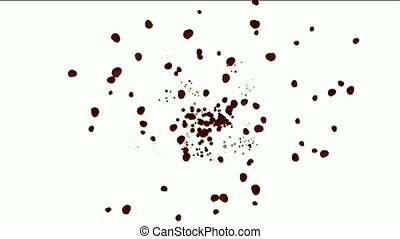 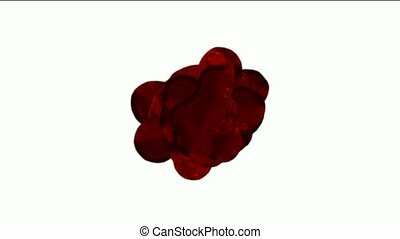 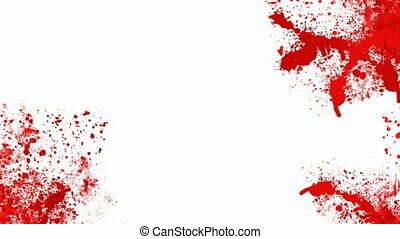 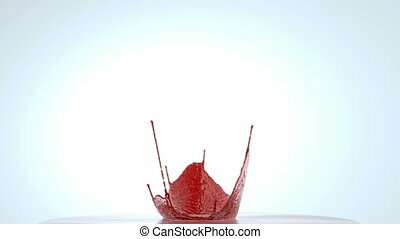 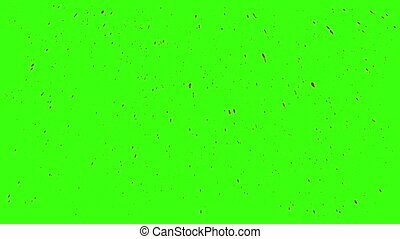 Blood splashes over white background. 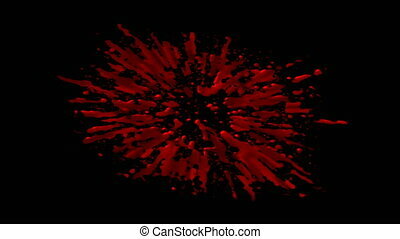 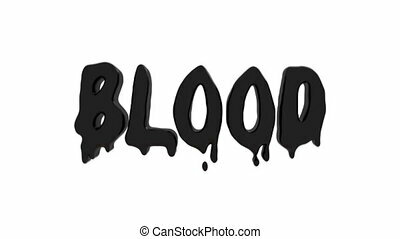 Abstract splashes of blood, artistic video illustration. 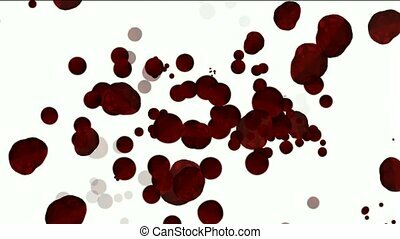 Blood alike flowing and splashing.